WOW Air flight WW752 suffered a serious landing incident at Cologne, Germany when the aircraft touched down short of the runway threshold. 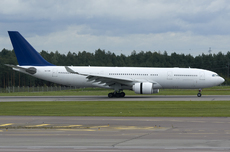 The aircraft, an Airbus A330, was operated by Hi Fly on behalf of WOW Air. Since runway 14L/32R was closed, the flight crew prepared for an approach to runway 32L. This runway is not equipped with ILS but RNAV approaches were allowed. The aircraft was not RNAV-approved so the flight crew opted for a non precision Surveillance Radar Approach (SRA). On final approach the aircraft descended below the intended glide path and at 30 feet radio altitude, one of the crew members commented: "we are getting slightly low". The aircraft subsequenly touched down on the paved portion of the runway, 21 meters short of the threshold. One of the main gear tires hit a runway light, causing damage to both the light and the tire.